Do you need to answer tough questions about sub-visible particles? 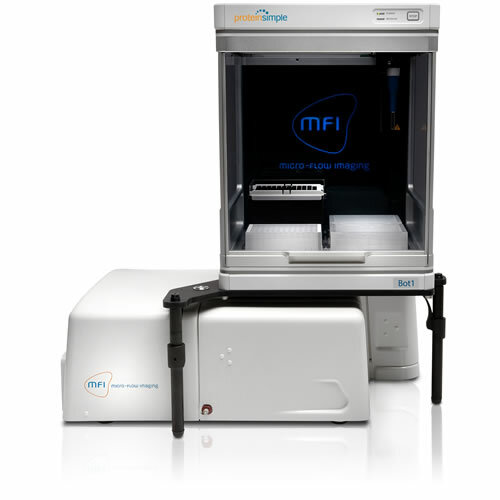 MFI™ systems detect, quantitate and differentiate particles that you may not see now. Can't beat that, right? 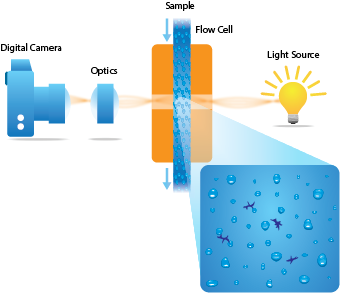 Micro-Flow Imaging™ combines the direct imaging capabilities of digital microscopy with the precise control of microfluidics. What does that get you? High resolution images with 85% sampling efficiency, more precise counts and sizing with full morphological detail for all sub-visible particles in your sample and the complete confidence that you can accurately identify every possible type—from protein aggregates to air bubbles. Images of the sample are captured as it passes through the flow cell's sensing zone. Every particle in every image is then analyzed to create a database of particle count, size, transparency and morphology (or shape). And you’ll have visual verification on the spot, as images are displayed in real-time. You can also display the results for many samples at once, which makes it easy to monitor stability and comparability.